Layer half of the lemon slices and 1 sprig of rosemary on the bottom of the baking dish. Scatter half of garlic around the pan. Trim any excess fat from chicken breasts, and season both sides with salt and pepper. 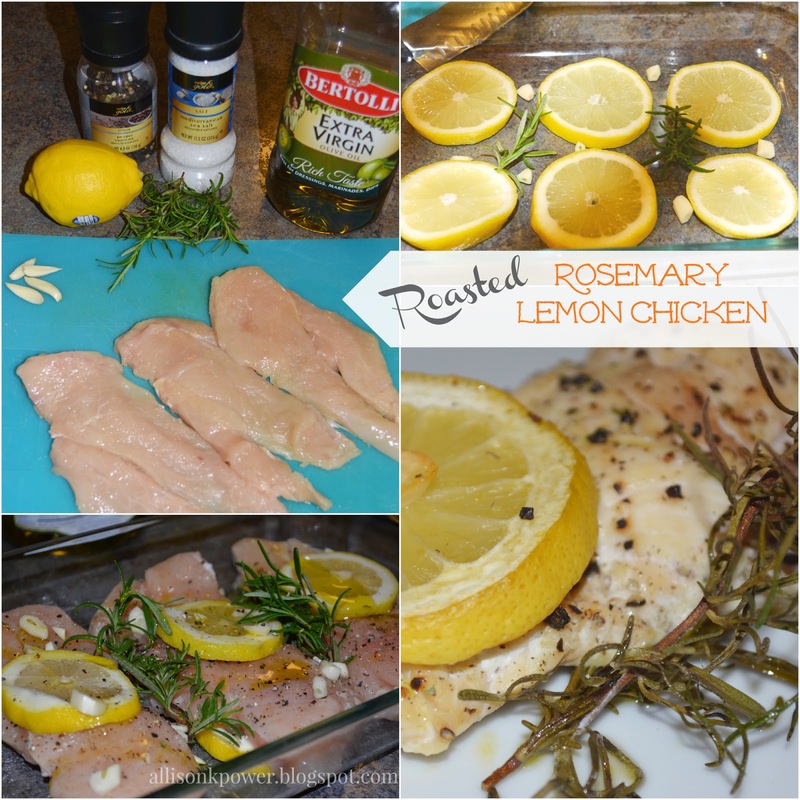 Lay chicken breasts on top of rosemary lemon bed. 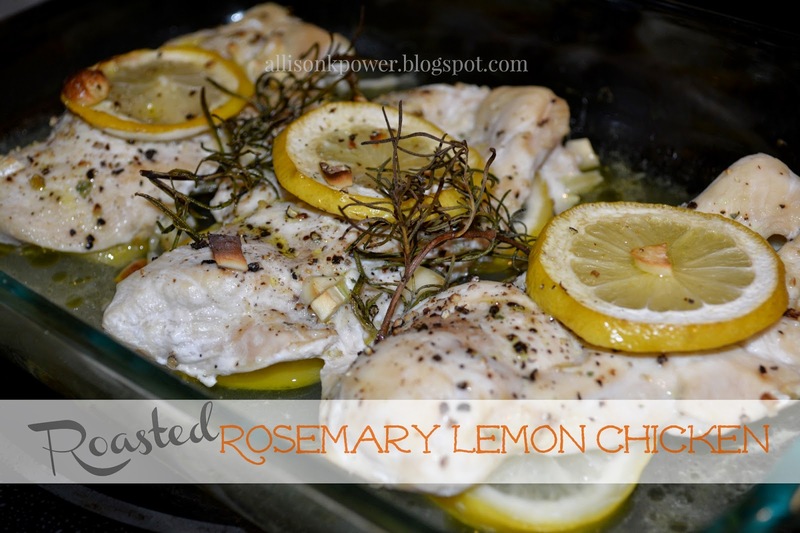 Top with remaining lemon slices, and place remaining sprigs of rosemary in between chicken breasts. Sprinkle remaining garlic. Drizzle chicken breasts with olive oil. Bake for 35-45 minutes (depending on thickness of breasts) until chicken is cooked through and reaches internal temperature of 165 degrees. Cover with aluminum foil and let rest for 5 minutes.